From romance and inspirational to adventure and fiction, Marsha has more than 20 years of experience in the writing industry. Overall, there are 12 books, five of which are children's and 11 feature-length screenplays published and written under her name. She also uses the name Lady Jane Sinclair on occasion. She has a lot of fun with her writing which led to the beginning of a new series, It's Never Too Late For Love, a romantic comedy taken from one of her screenplays. She is also the founder and Producer of Michigan Avenue Media and a partner of the World of Ink Network a Blog Talk Radio Podcast for the last eight years. Marsha is also a host and the producer for the shows. Her shows are about writing, what's new in the entertainment field and current topics. Marsha is also a host of a Blog Talk Radio network show such as A Good Story is a Good Story and What is Success. With her guests, she discusses about writing and what's new in the entertainment field. She also appeared as a guest on other network shows and worked as a media release specialist and literary agent. 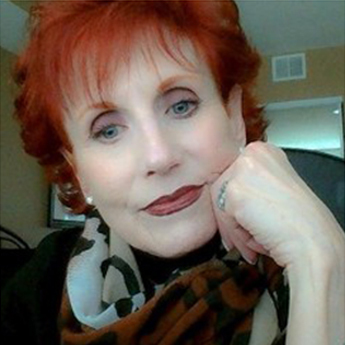 Wanting to help writers reach their goals, Marsha founded the literary agency Marcus Bryan & Associates in 1996. She achieved signatory status from the Writers Guild of America (WGA) within two years. In that capacity, she has represented more than 100 screenwriters and authors, and has also optioned books to movie production companies. She is also the founder of Michigan Avenue Media and a partner of the World of Ink Network. Marsha has spoken about her work and the craft of writing to a wide range of audiences including bookstores, schools, museums and local cable. She plans to continue speaking to the media to help others with their writing. Don't forget tomorrows show - If you watch Blacklist you won't want to miss it and if you don't watch Blacklist you'll start after hearing from our guest Daniel Knauf. Join Marsha in her discussion about social media and how you can make it work for you. This event will be ongoing throughout this month on Blog Talk Radio's "A Good Story is a Good Story". 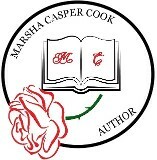 Listen to your favorite story from fiction author Marsha Casper Cook with her available eBooks and novels. Contact her in Chicago, IL, for inquiries.